Third priest killed in Philippines since December. Fr. Richmnond Nilo was gunned down while he was about to celebrate Mass in the chapel of Brgy. Mayamot, Zaragoza, Nueva Ecija on Sunday. Gunmen have killed a Catholic priest in Nueva Ecija on Sunday, less than a week after another priest was hurt in a shooting attack in Laguna province. The unidentified suspects shot dead Fr. Richmnond Nilo of the Diocese of Cabanatuan at around 5pm while he was about to celebrate Mass in the chapel of Brgy. Mayamot, Zaragoza, Nueva Ecija. Initial reports revealed the suspects fled to unknown direction using a car. The murder of Fr. 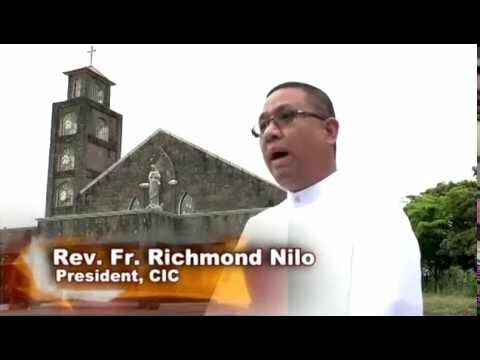 Nilo marks the third killing of a priest in the country in six months, following the killing of Fr. Mark Ventura in Gattaran, Cagayan on April 29 and Fr. Marcelito Paez in Jaen, Nueva Ecija on December 4. On June 6, Fr. Rey Urmeneta of the St. Michael the Archangel Parish in Calamba was wounded after being shot by unidentified suspects. Urmeneta, a former police chaplain, suffered wounds to his left upper back and left arm was rushed to a nearby hospital for treatment. The Diocese of Cabanatuan has yet to issue a statement on the incident.